LiveUpload to Facebook - Send your photos directly to Facebook with Windows Live Photo Gallery ~ Android Forever! If you like posting your photos on Facebook, here's a nice shortcut method. 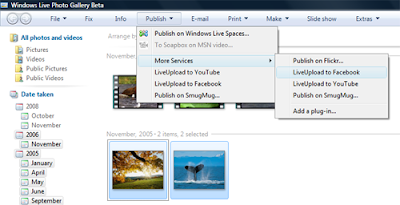 Use Windows Live Photo Gallery along with the LiveUpload to Facebook plug-in.